It is quite simple to make a great handmade gift for kids or adults, but what about teenagers? Do you find it easy to decide what they like? Amigurumi…? No. A hat…? A big chance they would like totally different design and color. A sweater? I don’t think so. But what about a pillow? It is very neutral, practical gift and quick to make! If you choose a fanny pattern like this Lego Block I’m sure they will love it! Every boy or girl likes lego, even if they are not playing any longer. This pattern will be perfect for a blanket too. Link to a free pattern is below. 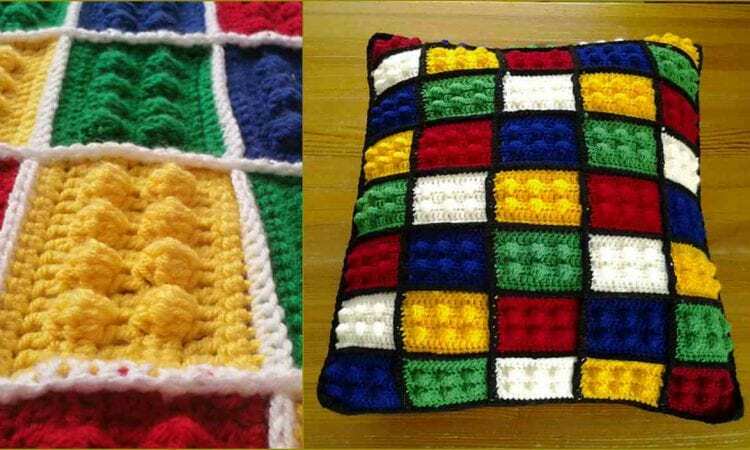 Lego Block Pillow or Blanket – visit the free pattern site. or see more info about this project here.